Born on the Côte D’Azur in France, Michel Ocelot spent his childhood in Guinea and his adolescence in Anjou. He studied decorative arts in Paris and attended CalArts in Los Angeles, before settling in Paris to devote his entire career to animated cinema. In 1998, the public discovered Michel Ocelot with his first feature Kirikou and the Sorceress. His other animated features include Princes and Princesses (2000), a fairy tale told through silhouettes, and Kirikou and the Wild Beasts (2005), co-directed with Bénédicte Galup. His fourth feature film Azur & Asmar: The Princes’ Quest (2006), set on the banks of the Mediterranean Sea, was selected by the 2006 Cannes Film Festival as part of the Directors’ Fortnight. His short films include The Three Inventors (BAFTA Award for Best Animated Film, London, 1980), and The Legend of the Poor Hunchback (César Award for Best Animated Short, Paris, 1983). His latest feature, Dilili in Paris, set during the Belle Époque, premiered in France in June 2018. 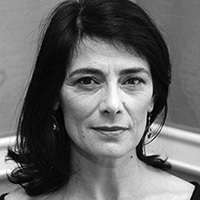 Hiam Abbass is a French-Palestinian actress and filmmaker. She is known for her roles in Satin Rouge (2002), Haifa (1996), Paradise Now (2005), The Syrian Bride (2004), Steven Spielberg’s Munich (2005), The Visitor (2008), Lemon Tree (2008), Amreeka (2009), A Bottle in the Gaza Sea (2010), Inheritance (2012), and Blade Runner 2049 (2017). Her TV credits include The Promise (2011), The State (2017), and HBO’s acclaimed series Succession (2018). 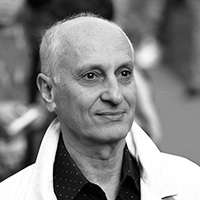 Abbass has directed a number of short films including Le Pain (2001), La Danse éternelle (2004), and Le Donne della Vucciria (2013). She served as a member of the Jury for the Main Competition at the 2012 Cannes Film Festival. 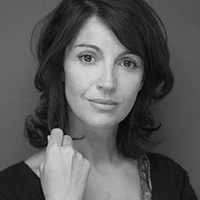 Abbass has voiced characters for Michel Ocelot’s animated feature Azur & Asmar: The Princes’ Quest (2016), and The Swallows of Kabul, a film by Zabou Breitman and Eléa Gobbé-Mévellec. Zabou Breitman is an award-winning film, television, and theater actress. Since the early 80s, she has been in more than 70 films including Diane Kurys’s La Baule-les-Pins (1990), Coline Serreau’s La Crise (1992), Pierre Jolivet’s Ma petite entreprise (1999), and Alexandre Arcady’s 24 Heures (2014). In 2006, she made her directorial debut with Se souvenir des belles choses, and has since made two other feature films. She recently directed and starred in the TV series Paris etc. The Swallows of Kabul is her first foray into animation. John Canemaker is an Academy Award and Emmy Award-winning independent animator/designer/director, animation historian, author and teacher. He is a full tenured professor at New York University’s Tisch School of the Arts where he has headed the Animation program since 1988. 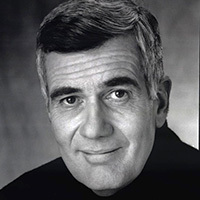 He received NYU’s Distinguished Teaching Award in 2009 for “exceptional teaching, inside and outside the classroom.” Canemaker won a 2005 Oscar and a 2006 Emmy Award for his 28-min. animated short, The Moon and the Son: An Imagined Conversation. 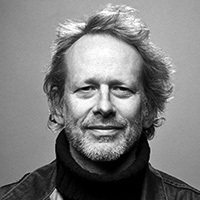 He also produced and directed animation sequences for the Oscar-winning HBO documentary, You Don’t Have to Die; the Peabody Award-winning CBS-TV documentary with animation Break the Silence: Kids Against Child Abuse; Yoko Ono’s John Lennon Sketchbook; and Warner Brothers’ The World According to Garp, among many other commercials and sponsored films. His films are part of the Museum of Modern Art’s permanent collection. A renowned animation historian, John Canemaker has written 12 acclaimed books on animation techniques, concept art, special visual effects, and numerous Disney and Pixar characters and artists. ASIFA-Hollywood honored John Canemaker with the prestigious Winsor McCay Award in recognition of his career contributions to the art of animation. Aymeric Castaing has more than fifteen years of experience in the entertainment industry. He has worked as a music producer, music publisher, and animation producer (co-founder and CEO for 10 years of the kids animation production company I Can Fly). Always interested in new ways of telling stories, Castaing specializes in transmedia content and shares his expertise and passion through diverse mediums. 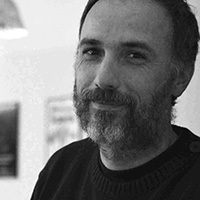 Castaing is the founder and president of transmedia cluster Cats (le-cats.fr), a founding member of the French national transmedia association PXN (pxn.fr), and brought Cartoon Movie, a pitching & co-pro forum for animated feature films, to Bordeaux. He founded and now runs UMANIMATION as Chief Content Officer (umanimation.com), an XR company developing a catalogue of narrative and immersive content designed for new media (TV, VR, AR, MR). 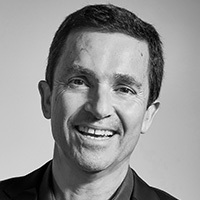 Frédéric Chesnais is the CEO and Chairman of the Board of Atari. 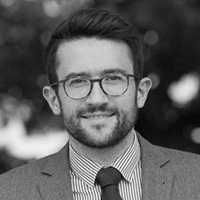 Under Chesnais’s leadership, Atari continues to publish interactive games and expand the Atari brand into various business sectors such as casinos, entertainment, and decentralized platforms. Mr. Chesnais is based in New York City. 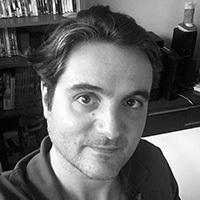 Denis Do is a film director and graduate of Gobelins, l’école de l’image. He has been passionate about the creative process, pictures, and drawing since his childhood. Funan, his first feature film, which won the Crystal Award in 2019 for Best Feature Film at the Annecy International Animation Film Festival, is inspired by his mother’s true story that he adapted into a strong and intimate film. 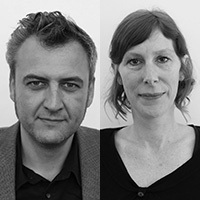 For the past fifteen years, Jean-Baptiste Garnero and Sophie Le Tétour have collected and presented collections entrusted or belonging to the CNC (French National Center for Cinema). They have overseen several projects designed to reassert the value of France’s film heritage in France and abroad through cultural initiatives and organizations such as festivals, cinematheques, museums, professional schools, and UNESCO. They are currently working to promote the Alexeïeff-Parker collection (films, exhibitions, and conferences) and are providing support to return the last pinscreen, made by Alexandre Alexeïeff and Claire Parker, to production so that it can be used to once again make films in France. Eléa Gobbé-Mévellec studied animation at Les Gobelins, École de l’image in Paris for three years, where she completed two short films: Madame (2005), a musical short about children, screened in several animation festivals; and Traintamarre (2006), which was made with three other students and screened at the Annecy International Animation Film Festival. From 2006 to 2008, she made Escale for Nostromo Production and directed TV spots for the company. 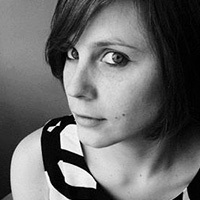 She was a character animator on the feature films Le chat du rabbin (2009) and Le jour des corneilles (2010). She also worked on the widely popular French series Lastman. She is currently working on The Swallows of Kabul, now in post-production, which she is co-directing with Zabou Breitman. 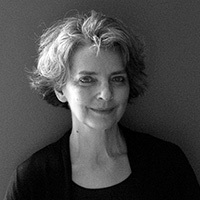 Michèle Lemieux is an illustrator, author, filmmaker, and internationally renowned artist. Lemieux has devoted herself to the Pinscreen technique and remains one of the leading experts behind the mechanism of the last working Pinscreen instrument in the world. Her award-winning short film, Here and the Great Elsewhere, shows the vast chimerical quality of the Pinscreen and her affinity for experimenting with mediums. Lemieux’s art has been displayed in New York, Tokyo, Czechoslovakia, Germany, France, Italy, and Canada. Her books have been published in many languages such as French, English, and German. Her canvases, both diaphanous and bright, evoke a timeless, even mystical world, which seems to attract the viewer to the heart of the narrative. 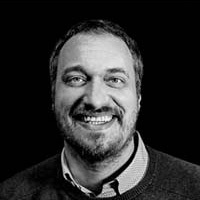 CEO at SolidAnim, Emmanuel Linot has more than fifteen years of experience in motion capture and 3D animation with companies such as ExMachina, Quantic Dream, and Herold & Family. He founded his own studio in 2007 with Isaac Partouche and Jean-François Szlapka, collaborating on video game projects and feature films such as The Crew, Cafard, and most recently White Fang. In 2010, the founders launched SolidTrack, an innovative system that renders special effects in real time. The system has been used in major American productions such as The Walk, A Monster Calls, Alice in Wonderland, and Rogue One. 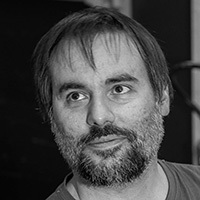 Alexandre Noyer is an electronic engineer and computer scientist by profession but he devotes a large part of his time to his passion: traditional animation. Born and currently living in Annecy, France, he never misses the Annecy International Animated Film Festival. As an autodidact experimenting with various animation techniques, Noyer discovered the Pinscreen, created in the 1930s by the filmmakers Alexandre Alexeïeff and Claire Parker. However, the tool had become so rare (in 2015 there were only two in the world) that Noyer decided to reinvent Pinscreens by leaning on modern technologies. Since 2016, he has been selling and renting Pinscreens, while also leading conferences and workshops all over the world in order to help bring this intricate technique back to life. 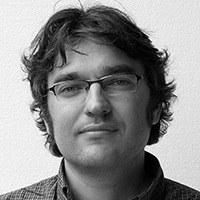 Emmanuel Quillet is associate producer at Marmitafilms, a French production and distribution company located in Bordeaux. He manages the animation department, which is devoted to producing series, shorts, and features in an artistic laboratory that fosters the creation of unusual visual worlds (marmitafilms.fr). Olivier Palmieri started to play video games on Atari 2600 and Apple II (back in 1979) at the age of four. He knew since then that he wanted to work in the video game industry. In 1998, he joined Ubisoft in Montreuil (France) and worked on the Rayman and Ghost Recon games in Game and Level Design. In 2005, he joined Ubisoft Montreal (Canada) and helped shape numerous bestsellers such as Naruto, Assassin’s Creed II, and Far Cry 4. He is currently Game Director at Ubisoft Montreal, studio expert for VR, and creator of the VR game Eagle Flight. He is currently working on the creation of the XR:MTL hub. Born and raised in the Aquitaine region, Fabien Robert attended college in Bordeaux, majoring in Political Science. Attracted by the desire of serving his community, he began his political career by joining one of France’s centrist parties. There, he found a like-minded group of individuals who promoted their values of humanism and generosity through actions. While still a student, Robert was elected Vice President of the CROUS, an organization that advocates for students, where he engaged with issues surrounding employment, startups, and other initiatives. Upon graduation, he began to work with Alain Juppé, Mayor of Bordeaux, and is currently Deputy Mayor in charge of Culture and Heritage. Alexandre Rockwell is an American film director, producer and screenwriter. He is the grandson of Russian-born animator Alexander Alexeieff, the co-inventor of pinscreen animation. Rockwell studied film-making at the Cinemateque Francois in France. By the early ’80s, the aspiring director had crafted a number of short films and his work was shown at Boston’s Institute for Contemporary Art and New York City’s Association of Independent Video and Film. His first feature film, Lenz (1987) was shown at the 1982 Berlin Film Festival to great acclaim. His fourth feature film, In the Soup (1992), garnered accolades at the Sundance Film Festival. His 2002 comedy 13 Moons, starring Steve Buscemi, is another well-known work. Other notable films include Hero (1983), Sons (1990), Somebody to Love (1994), Four Rooms (1995), Louis & Frank (1998), and Pete Smalls Is Dead (2010). General Manager of SolidAnim since its creation in 2007, Jean-François Szlapka has had experience in motion capture since 2001 and has worked on various projects in the video game, film, and television industries. 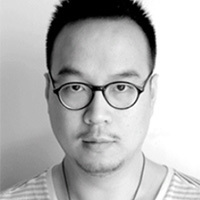 He also specializes in character animation by combining motion capture and keyframe. 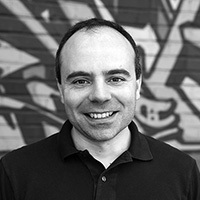 He is currently responsible for creating technical workflows in virtual production projects at SolidAnim.